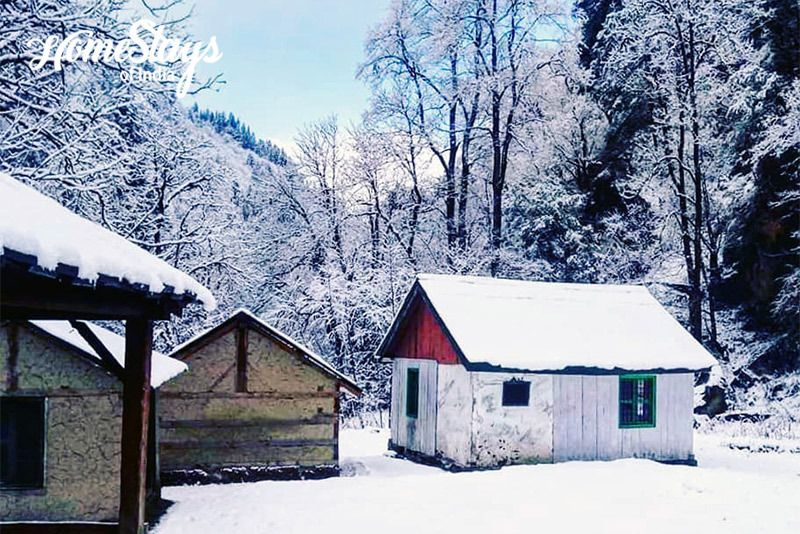 Ropajani is a small village in Tirthan valley, “Himachal’s best kept secret”, 65 km south of Kullu in Himachal Pradesh. Stunningly beautiful, Ropajani lies just on the gateway to the Great Himalayan National Park – a UNESCO World Heritage Site, on the banks of the Tirthan River. One can easily reach after an hours drive from Aut. The tiny village is made of only 10 families who speak Hindi and Pahadi, and is the center of ancient cultural and local festivals. 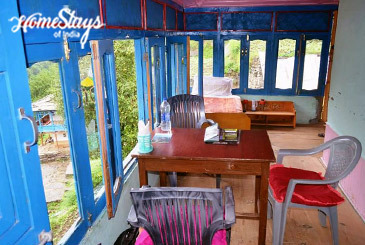 Walk into the woods beside the Tirthan River, do fishing, engage with village people, go on undiscovered nature trails or indulge in adventure activities – this quaint little village offers ample opportunities for the offbeat travelers with its untouched landscapes. Come to Ropajani between Feb – June to witness local fairs and festivals. 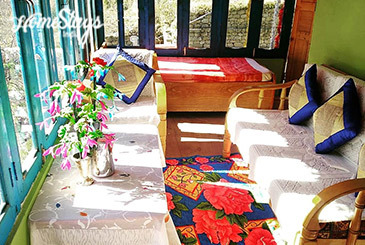 Ropajani Homestay falls under the buffer zone, just on the gateway to GHNP. 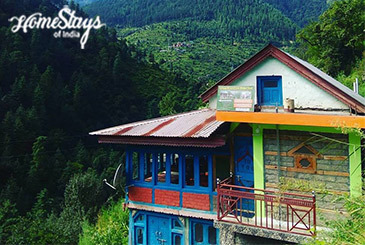 The beautiful house is made of wood, stone and mud by the bank of river Tirthan. Its is a good mix of traditional and modern style of Himachali architecture. 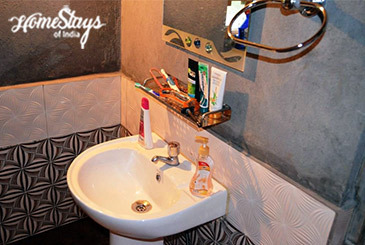 There are 4 well-furnished double bed rooms with attached bathrooms having modern fittings. 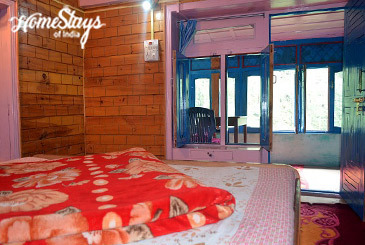 All bedrooms open to spacious balcony with a view of the Tirthan River and pine forest. You will be hosted by a very humble Paras Ram Bharti and his family. His son Vijay looks after the guests and assists them in hiking, trekking, camping, fishing and other activities. His wife Indra Bharti along with her daughter in law Veena is in charge of the kitchen. 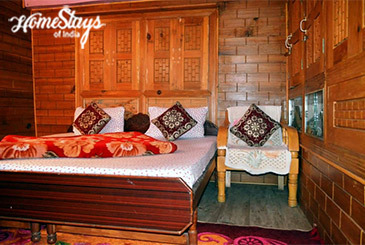 Do not hesitate to ask Paras for any help needed to plan your days in Tirthan valley. Indira serves fresh home cooked healthy and pure organic food. She cooks in a clean, hygienic kitchen on local wood fire oven. Breakfast can be Stuffed Paratha, Omelette, Puri Bhaji etc. Lunch and Dinner includes seasonal vegetable, Daal, Salad, Rice and Roti. If you like sweets ask for Kheer, Halwa or local Sewaiyaan. Trout fish, other non-veg food and special local dishes can also be prepared on nominal extra cost. Trekking • Camping • Angling • Local folk dance performances • River Crossing • Rock Climbing • Nature Walks • Hiking • Forest and riverside walk • Heritage Village Tours • Picnic by riverside • Meditation and Yoga. Internet • Laundry • Parking • Attached bathrooms with hot water • Taxi service • Trekking, Camping and Fishing equipment on hire. Banjar (8 km) • Jibhi (15 km) • Shoja (23 km) • Jalori Pass (28 km) • Raghupur Fort (30 km) • Seryolsar Lake (33 km) • Sainj (38 km) . Note: Ask us for Trout Fishing, Guide and Taxi Service.